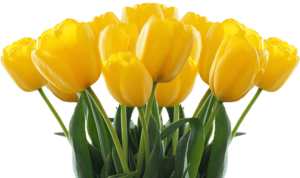 The right of access and the right of erasure - American Tulip Day - Don’t miss the chance to pick your own! The right of access and the right of erasure are included in Articles 35 and 36 of the General Data Protection Regulation. Fill in the form below to use this right. Please explain which right you want to use. We will check your application with the terms and conditions and (if the request is justified) delete the data. Anthos represents the companies that trade in flower bulbs and nursery stock products. iBulb, promotion agency for flower bulbs and bulbs flowers, is part of Anthos. American Tulipday uses Google cookies and scripts to analyse your use of our website anonymously, so we can customise its functionality and effectiveness and display advertisements. We also use Facebook, Twitter, LinkedIn and Google cookies and scripts, with your consent, to enable social media integration on our website. If you wish to change which cookies and scripts we use, you can alter your settings below.